Whether you call it a lift or an elevator, getting stuck in one can be an awful ordeal. As a frequent user of elevators, and someone who has been stuck in one more times than I can count, I want to share with you the most important things to remember if you do have the misfortune to be in a vertical shuttle when the electricity goes off. First – Take a deep breath. When the lift you are in slams to a stop between floors – your immediate gut reaction may be to panic. Don’t! Getting stressed is a waste of energy and will only make things feel much worse than they actually are. What you absolutely don’t want to do is work yourself into a full blown panic attack. Instead – take some deep breaths and slow down. Remember – this too shall pass. The next thing to do is find a light source. I carry a small torch on my key ring at all times in Egypt. It has been extremely helpful for everything from navigating the pot holed pavements to keeping meetings on track in power cuts. My smart phone also has a torch option but even older phone screens will be enough to take the edge off the darkness. Speaking of phones – use yours. Call a neighbour or a friend and find out if the power is off in your building and let someone know where are. Not all lifts in Egypt have call buttons but if your does – use it. Chances are it will ring the bowab or the maintenance department who may be able to manually ‘wind’ you and the lift to the next floor and safely open the doors to let you out. If there isn’t a button – again don’t panic. 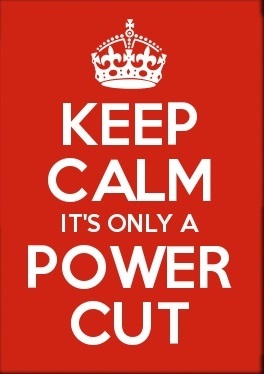 Assuming it is a power cut and not a mechanical issue – you will be back in the real world as soon as the lights come back on. If it is an engineering issue – the friend or neighbour you called has already been alerted and will be on their way to assist. So now all you can do is sit back and relax. 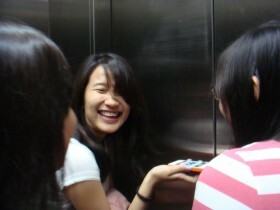 The best and safest place you can be is inside the elevator. 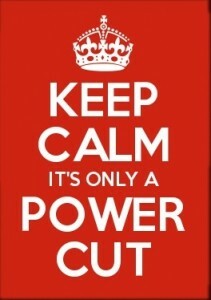 Wait for the power to come back on or the professionals to get you out. I can’s stress strongly enough, this is the safest place to be. Use this time to check Facebook – nothing like “stuck in an lift” for a status update. If you are carrying a book – read it. If you are carrying a snack – eat it. If you brought your iPod or iPad – use it.The time will pass faster. Whatever you do, do not attempt to escape the elevator on your own. That only happens in the movies. You never know when the lift will start moving again. The last thing you want to be us crushed. So I say again – don’t do it! If there are other people in the elevator, make conversation. Nothing builds camaraderie faster than a shared obstacle. Treat it like a long car ride. Try playing a game, telling jokes or sharing drinks and food. If someone has a deck of cards – even better. Once again, the most important thing you need to do is keep calm. Remember that getting stuck in an elevator in Egypt is a common occurrence these days. And remember, at the end of the day, this harrowing experience will soon be nothing more than a great story to share with your friends over a cold Sakkara when the lift does finally move. To combat this problem – more and more buildings are installing a back-up generator to keep the lifts moving during our now very frequent power cuts. Try speaking to your landlord and see if he can do something similar with the other owners in the building. The units are not as expensive as you may think and sharing the cost between flats means a small amount for each contributor. Plus – they could also be wired to keep some – or all of the power on in the apartments too. If you would like information or prices of such products please don’t hesitate to get in touch.